As spring weather rolls in and the mercury begins to rise, snakes will be emerging from their winter hibernation and becoming more active. This, of course, coincides with us humans becoming more active outdoors to take advantage of the nicer weather. 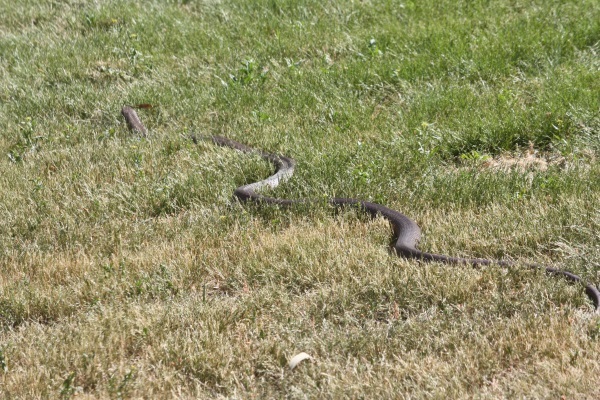 Acting Regional Manager of Environmental Compliance at DELWP, Paul Ryan, said that snakes are coming out of hibernation to bask in the sun and search for food and a mate. �The recent sunny weather also means more people are spending time in their gardens or in parks and forests,� Mr Ryan said. �As people and snakes become more active it is quite possible they�ll encounter each other while enjoying the outdoors. �Copperheads are common around the Grampians region early in the season with Tiger, Red Bellied Black and Brown Snakes becoming more common as the weather continues to warm up. �These four species are all highly venomous, so you should keep clear and let them move through the area. It is rare for them to bite people; however, they are known to bite animals when disturbed. If you see a snake � keep calm and try to move yourself, anyone with you and your pets away from the snake. Never touch or attempt to capture or hurt a snake � instead call DELWP Customer Service Centre on 136 186 who will provide you advice or put you in contact with your nearest licensed snake catcher. Have a spring clean � clean up around the house and cut lawns regularly. Snakes are attracted shelter such as piles of rocks and timber, sheets of metal, or building materials. Undertake first-aid training, ensure your first-aid kit contains several compression bandages, and if someone is bitten call 000 immediately.